There are a few seats left! Get in on the fun (and prizes)! Grab your friends and join Dominion Electric Supply and Moss Building & Design for a Girls Night Out, complete with hors d'oeurves, wine, raffle prizes and more. Peruse our beautiful lighting showroom while learning about lighting and having a great time! 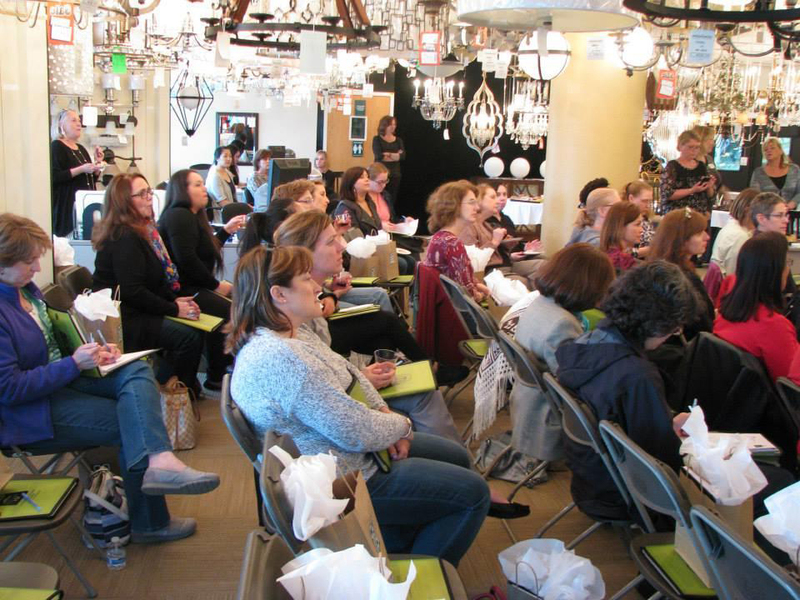 Moss Building & Design will present their Dim It workshop, an installment of the popular HandyMOM 101 program during which a MOSS professional will teach you how to install a dimmer switch in your own home. You will also have the opportunity to ask questions and seek advice regarding all things home-improvement. Our Philips Lightolier representative will demonstrate how color temperature and the different effects of LED lighting can enhance whatever you are working on. Various prizes will be raffled off including a FREE Handyman For A Day (a $700 value)! Once you arrive, there will be several fun ways to earn raffle tickets, all of which are free. The first and easiest way you can win raffle tickets is to share this invitation on Facebook -- receive 5 raffle tickets just for sharing! Admission is FREE, but you do need to RSVP. Sign up today!